Myself and Raegan Correll recently took a 6 week trip down to Costa Rica to get away during summertime. Being based in Playas Del Coco at the north-west Guanacaste region of the country was perfect for us. We explored beaches, waterfalls, estuaries, jungles, and all kinds of exotic places. During the 6 weeks, we traveled all over the country and saw some of the most magically beautiful things we have ever seen. Initially, we traveled east into the rainforest region surrounding the majestic Lake Arenal and continued all the way to the eastern side of the country into the foggy mountains where we stayed at the Waterfall Gardens for a few days. This place has a crazy resort right next to a chain of about 5 beautiful waterfalls. During the few days we were there we saw tons of animals, breathtaking mountain scenery, and spent a lot of time just decompressing from the busy school semester we had just escaped. Also, we went as far south as Manuel Antonio. This place is unreal and the drive down there is so epic as well. 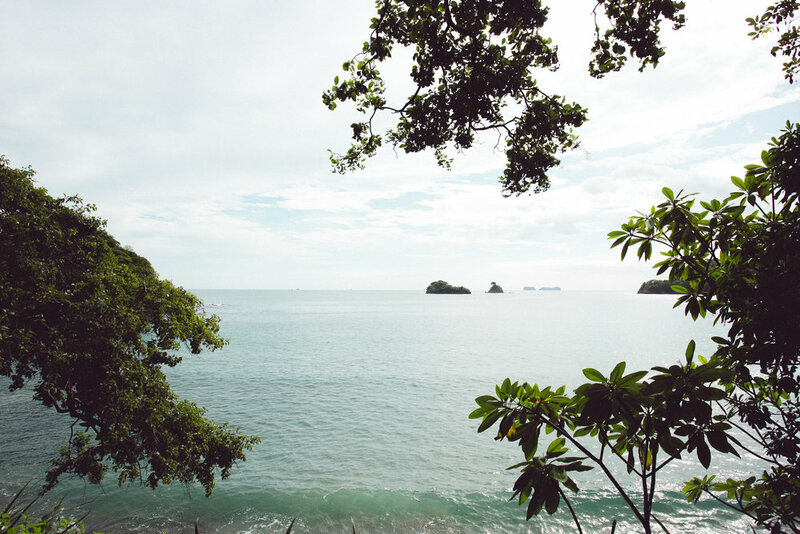 Manuel Antonio is basically a town built on a hill where the jungle meets the beach in the most amazingly scenic way. We had such rad times there exploring, eating good food, and experiencing some really amazing things. I could go on and on about this magical country of Costa Rica. It is such a beautiful, happy country with the nicest people and is somewhere that everyone needs to visit at least once in their life. Here are some photos from all around the country as a brief summary of our crazy 6 weeks in paradise.